Bernard Chastey Braden was born in Vancouver. He produced plays on CJOR Vancouver in the late 30s and early 40s and married Barbara Kelly in 1942 and they moved to Toronto the same year. Seven years later, he, his wife and two children moved to England. (A third child, Kim was born in London in 1949.) The radio show Breakfast with Braden began on Saturday morning, 21 January 1950, initially putting Bernard Braden alongside his dumb girlfriend, Pearl Carr this was followed by various sequels including Between Time, Bathtime and Bedlam with Braden. The usually straight BBC announcer was Ronald Fletcher who was drawn into the script which added to the ingenuity and enjoyment. They made their television debut on An Evening at Home With Bernard Braden and Barbara Kelly in 1951 but, though popular, it ran for only one series. But by the end of the 1950s, Barbara and Bernard were well-established figure on television and radio in Britain, but for the next decade her husband's career moved to the fore, with the success of his On the Braden Beat, one of the earliest consumer guidance programmes, which won a Bafta award in 1964 and ran on ATV for six years and was also an opening for performers such as Peter Cook, Jake Thackray and Tim Brooke-Taylor.. The programme was followed by Braden's Week on the BBC, which lasted four years. Bernard Braden fell from grace when he advertised margarine on the BBC's commercial rival ITV; the BBC felt this was inconsistent with his role as the consumers' spokesman and the show was cancelled. Esther Rantzen, one of the researcher/presenters, went on to front a remarkably similar consumer show. In 1976, he hosted a quiz show for London Weekend Television called The Sweepstakes Game. The show proved to be unsuccessful and no further programmes were made after the original series. He died in Camden, in 1993 aged 76, following a series of strokes. Barbara Kelly was born on October 5 1924 at Vancouver, British Colombia, and was given elocution lessons as a young girl. Barbara hated the stage, but her mother was a frustrated actress. Her first professional engagement was with the Canadian Broadcasting Corporation, when she played the Virgin Mary in a Nativity Play. She married in 1942 – "to escape from my mother" and having been warned by her father: "Never do anything to besmirch the name of Kelly or I will kill you." Two years and two children later, she said, it occurred to her to ask: "How can you besmirch a name like Kelly?" She was soon in demand for radio work and also toured a series of small theatres across Canada before making her first television appearances in The Stage Series. Meanwhile Barbara Kelly was one of showbusiness's brightest personalities in the 1950s, often appearing with her husband, she was probably best known for her appearances on the panel show What's My Line? which featured Eamon Andrews as the chairman, and David Nixon, Gilbert Harding and Isobel Barnett. This simple format proved immensely popular, and the programme ran until 1963. When it was briefly revived in 1984, Eamon Andrews and Barbara Kelly were the only original members of the team to appear. Her other television work included Kelly's Eye, Criss Cross Quiz and Leave Your Name and Number as well as the sitcom B and B in 1968, where she again teamed up with her husband, and in which their younger daughter Kim also appeared. During the 1970s Barbara Kelly and her husband ran Adanac Productions, which they had set up 20 years earlier, and which by then was specialising in presentations at business conferences. Barbara Kelly then began an agency offering advice to celebrities on managing their image and career direction. Through her company Prime Performers she also offered the services of a number of figures – including Barbara Windsor, Joan Collins, Raymond Baxter, Norman Tebbit and Sir John Harvey-Jones – for the after-dinner-speaking circuit. She also ran Speakerpower, which provides actors to train people in public speaking and presentations. Barbara Kelly took a no-nonsense approach to most things; even during an armed raid in 1978, she asked the robbers – who had knocked her husband out – to "take off the Noddy hats and have a drink". Despite having suffered from cancer during the 1980s, she nursed her husband during his own final illness. She died in 2007 aged 82 of her three children only her son predeceased her. I was at college with two girls whose fathers had connections with Concord, Sue Whittle`s father was a test pilot for the aircraft and the other whose name does not readily come to mind as I type, was an engineer, In her words when the first flight was shown and reported " you would have thought he had built it all by himself and flown it too, he was that proud!" I expect that most of you will have heard that Simon Dee died on 29th August at the age of 72. 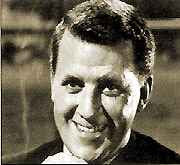 Simon Dee, real name Cyril Nicholas Henty-Dodd was well known in the 1960’s as a television interviewer and disc jockey who hosted a twice-weekly BBC TV chat show, Dee Time. After moving from the BBC to LWT in 1970 he was dropped and his career never recovered. He died from bone cancer leaving three ex-wives, four children, and four grandchildren. On 05/09/1960 the number one single was Apache - The Shadows and the number one album was South Pacific Soundtrack. The top rated TV show was Rawhide (ITV) and the box office smash was Psycho. A pound of today's money was worth £13.68 and Tottenham Hotspur were on the way to becoming the Season's Division 1 champions. The big news story of the day was Cassius Clay wins Olympic Boxing gold. On 05/09/1961 the number one single was Johnny Remember Me - John Leyton and the number one album was Black & White Minstrel Show - George Mitchell Minstrels. The top rated TV show was Sunday Night at the London Palladium (ATV) and the box office smash was One Hundred and One Dalmations. A pound of today's money was worth £13.25 and Ipswich Town were on the way to becoming the Season's Division 1 champions. On 05/09/1962 the number one single was I Remember You - Frank Ifield and the number one album was West Side Story Soundtrack. The top rated TV show was Coronation Street (Granada) and the box office smash was Lawrence of Arabia. A pound of today's money was worth £12.89 and Everton were on the way to becoming the Season's Division 1 champions. On 05/09/1963 the number one single was Bad to Me - Billy J Kramer and the number one album was Please Please Me - The Beatles. The top rated TV show was Coronation Street (Granada) and the box office smash was The Great Escape. A pound of today's money was worth £12.64 and Liverpool were on the way to becoming the Season's Division 1 champions. On 05/09/1964 the number one single was Have I the Right? - Honeycombs and the number one album was A Hard Day's Night - Beatles. The top rated TV show was No Hiding Place (AR) and the box office smash was Dr Strangelove. A pound of today's money was worth £12.24 and Manchester United were on the way to becoming the Season's Division 1 champions. On 05/09/1965 the number one single was I Got You Babe - Sonny and Cher and the number one album was Help - The Beatles. The top rated TV show was Coronation Street (Granada) and the box office smash was The Sound of Music. A pound of today's money was worth £11.69 and Liverpool were on the way to becoming the Season's Division 1 champions.